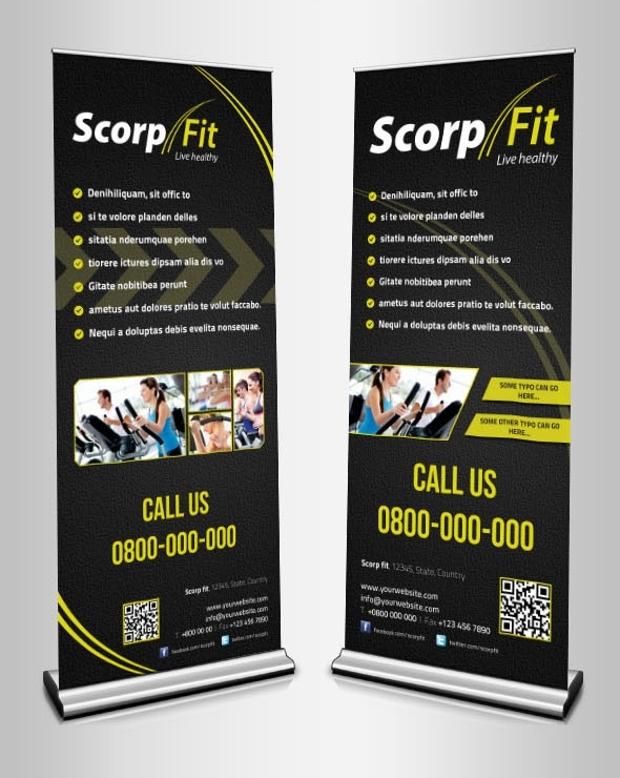 Fitness is the new buzzword nowadays; hence you will find that demand for fitness banner is high. 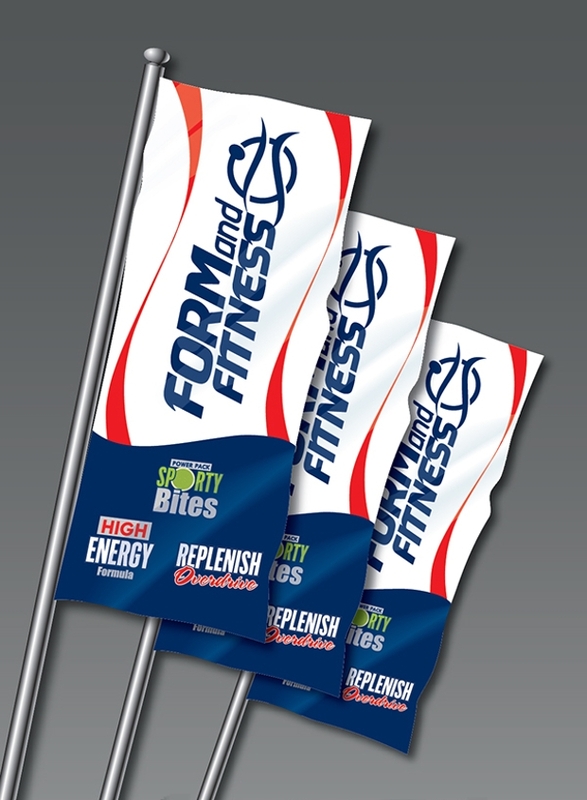 If you too are looking for professional fitness banner we have made your task easier. 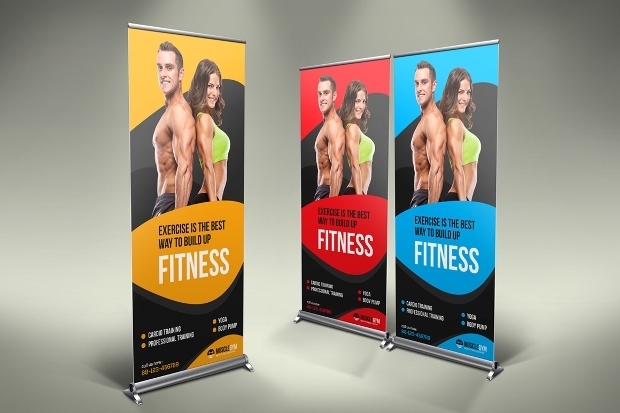 We have made collection of some of the best fitness banner designs that can be easily edited for matching your requirement.The importance of these banners lies in the fact that they set the image in one’s mind about how their experience with fitness classes are going to be. 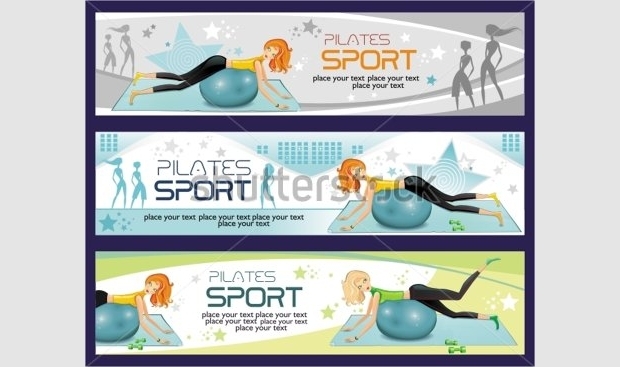 This roll up fitness banner design has a professional look that will make the aspirant confident. You can put in your own slogan and make necessary changes for making this banner perfect for your fitness regime. It is available in layered PSD file that is print ready. 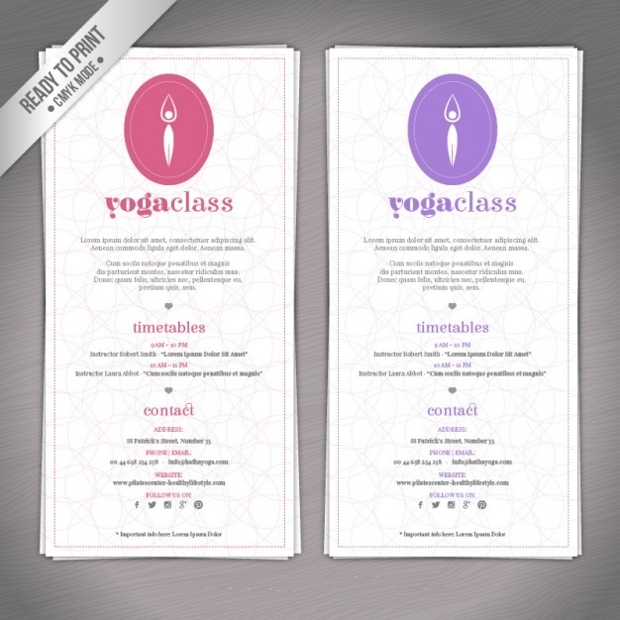 Use this roll up Fitness banner for advertising your fitness classes. This banner is totally editable and you can edit it easily. You can work on it on Photoshop CS3 or higher version. It comes with 150 Dpi and is print ready. So, after making the necessary changes you can send it directly to your printer. 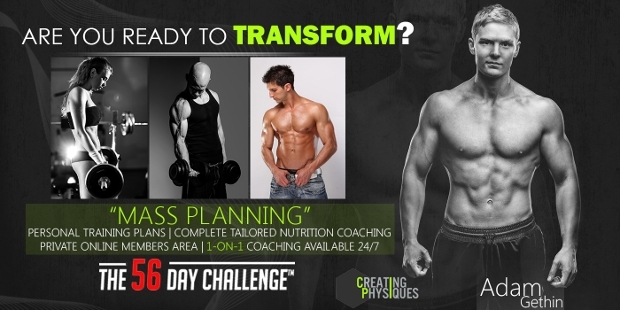 Another alluring fitness banner template that will help you allures the fitness crazy people. The print size of this banner is 32×72 inches and it has a bleed of inch. You will not get the preview images but you must have your own! 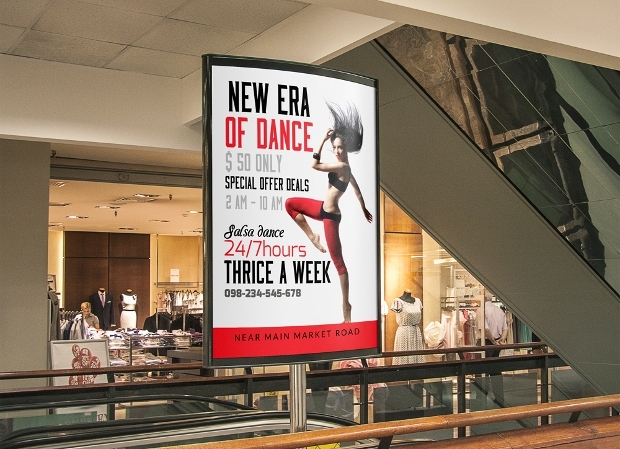 Thinking that this is the perfect dancing and fitness coaching banner you are looking for? Yes, this 24×36 inches banner is just awesome for attracting the eyes of people. You can easily edit the banner according to you need to make it look great. Presentation has a lot to do when it comes to attracting someone. 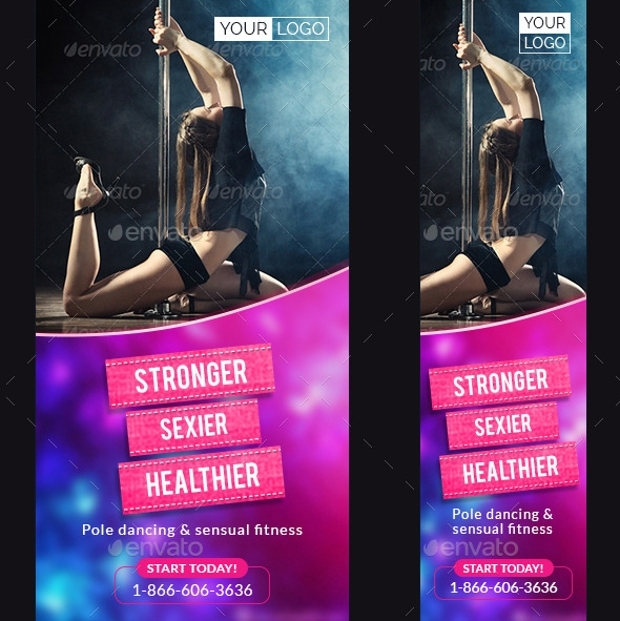 Thus, why should you put on simple fitness rollup mock up when you can give it some original look? 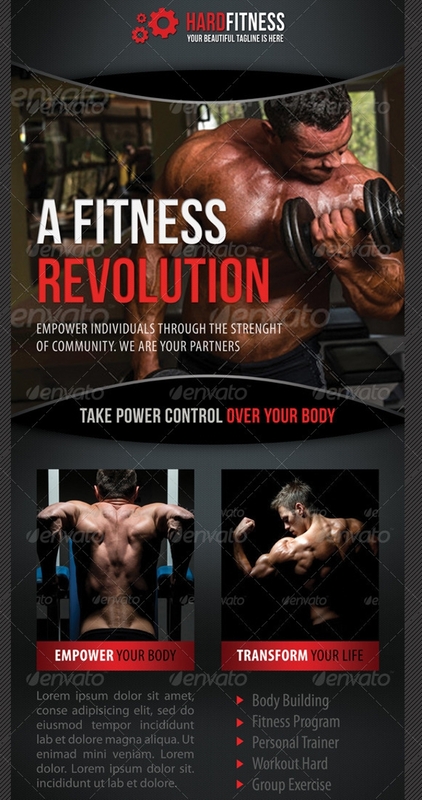 It is of high resolution and has unique style for letting people know about your fitness club or program. Use smart object for editing any layers and inserting images that you wish. A perfect banner has a lot to do when it comes to fitness. 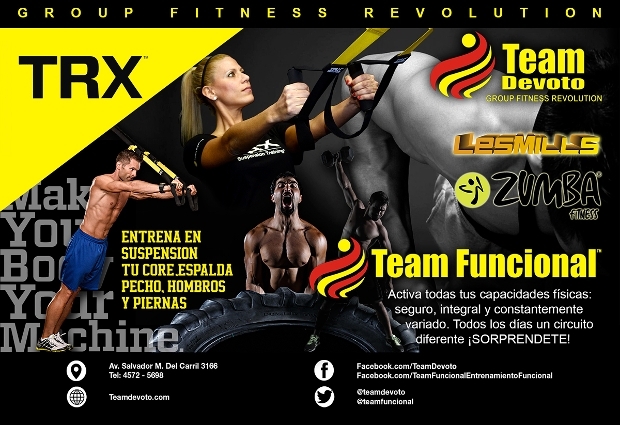 Hence, here is gym banner design that showcases everything that you need for attracting your fitness aspirants. 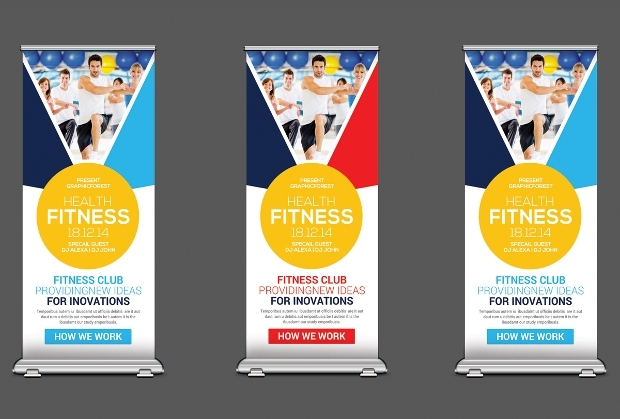 Changing the style or color of the banner is matter of few seconds and you can get it done easily. 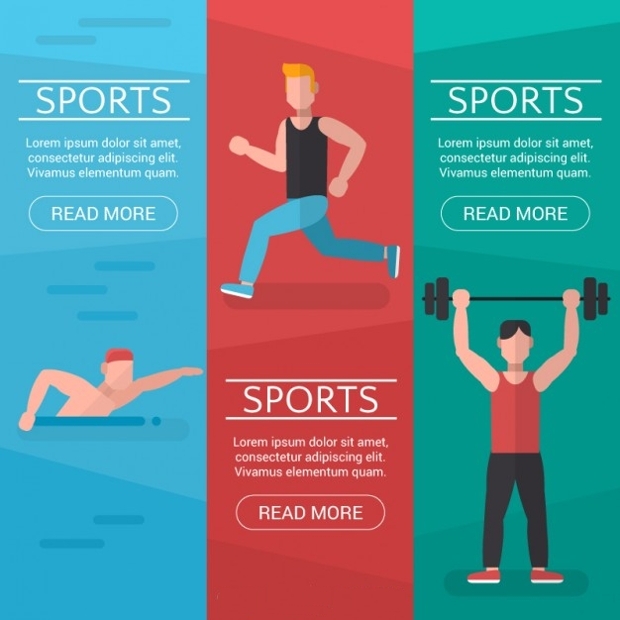 This fitness and sport activity banner is perfect for letting people know about your sports activities. 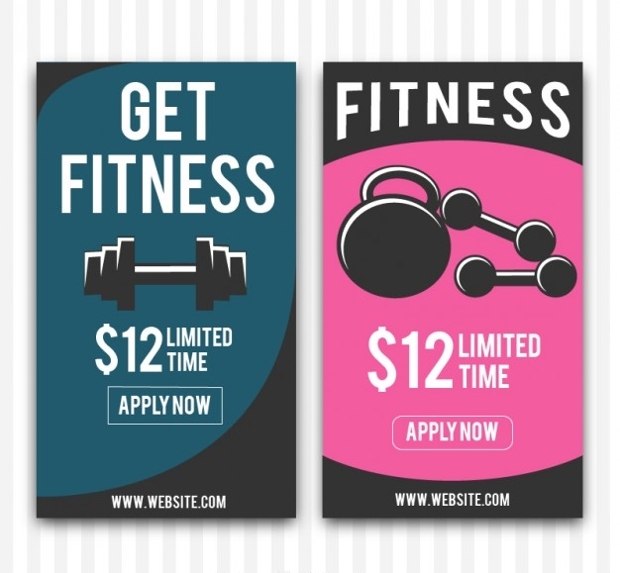 You will get 19 different banner sizes in this set that is fully editable and print ready with bleed. 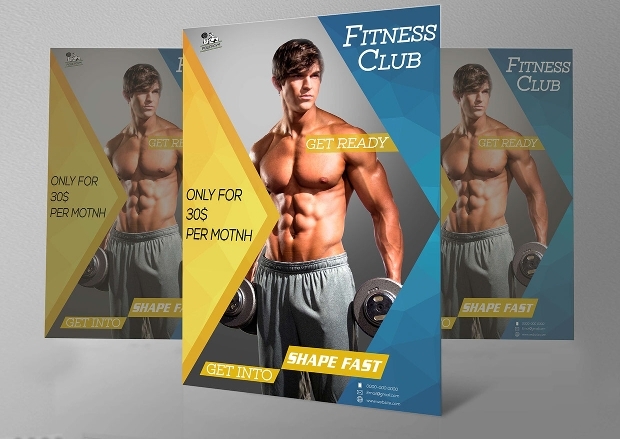 These flyer templates are perfect for gyms who are trying to attract customers or gyms looking for more membership. They are designed in a crispy way to attract attention of people. This files is easily editable and you can get them is organized layers that can be easily edited and printed. 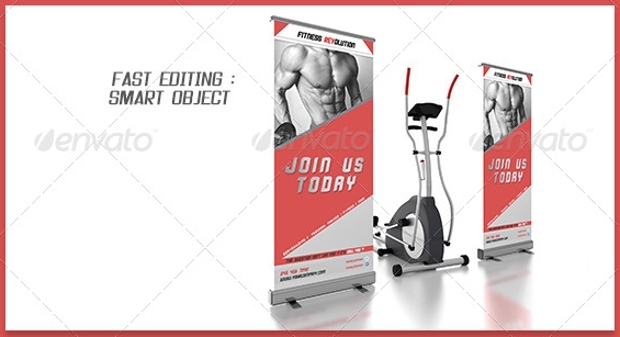 Simple and elegant workout banner to showcase your competency easily. They are easily editable and can be used for putting your banner. Change the fonts or images, editing this smart object layered PSD file are simple and easy. 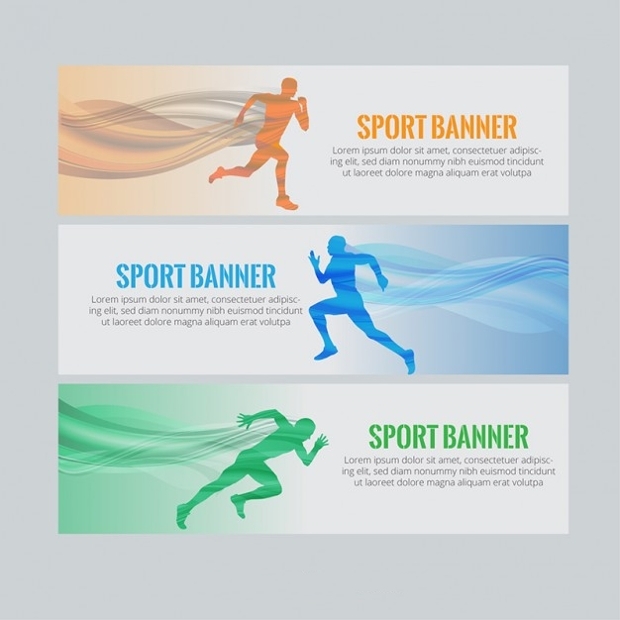 Banners play an important role for making your clients know about your existence. 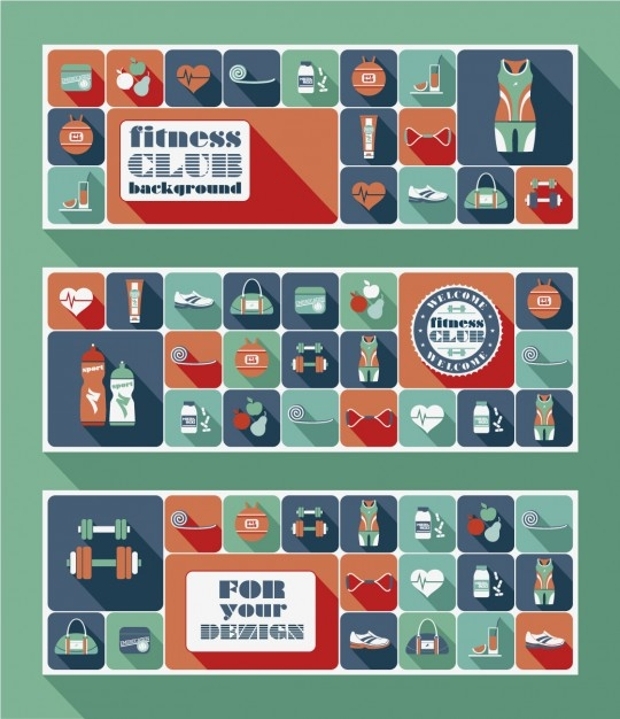 They are inexpensive way of advertising and hence as a designer you will find these designs handy to make your clients feel confident about your fitness classes. They are best way to showcase your skills to your clients.